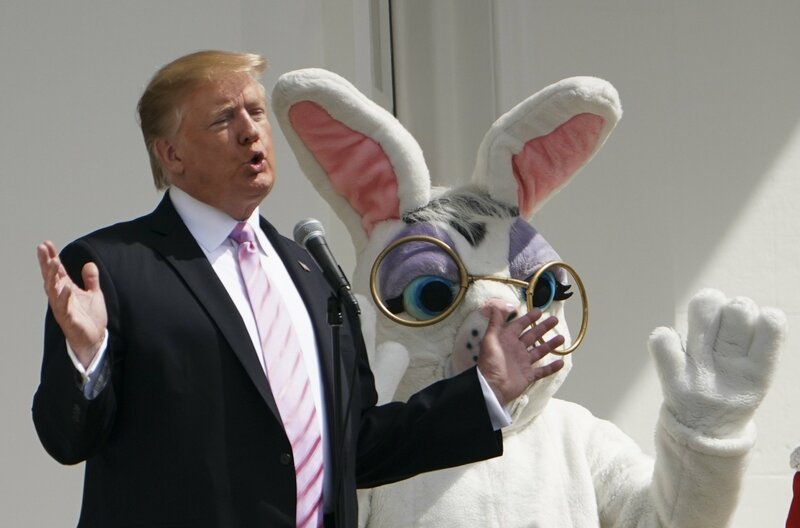 Since boyhood, White House senior policy adviser Stephen Miller has seemed to pine for a president like Donald Trump, eager to deliver the United States from the plagues of political correctness and multiculturalism. 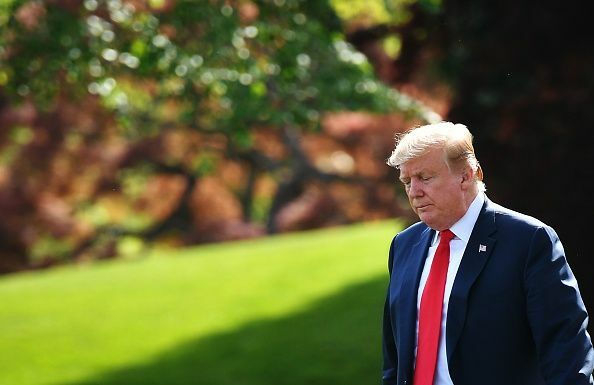 The Santa Monica, California, native spent his teenage years railing against his town’s liberal bent, defending former President George W. Bush, the Iraq War and the Republican Party while blaming America's ills on immigrants, school administrators and Muslims. Miller used his high school newspaper and local press to his advantage, penning op-eds intended to incite his classmates and make sure everyone knew he stood out from the sea of blue-state voters. By the time Miller enrolled at Duke University in 2003, his right-wing politics had hardened, as did his writing. He also became acquainted with Richard Spencer, a white supremacist and a future leader of the alt-right movement. Spencer told Mother Jones in 2016 that he acted as a “mentor” to Miller. 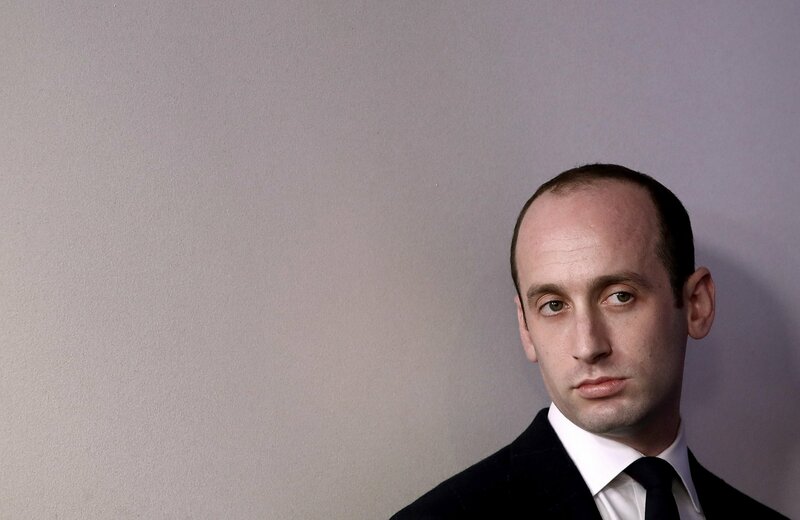 After decades of developing his brand, 32-year-old Miller has the ear of the president, and he seems ready to say whatever he must to keep it that way. 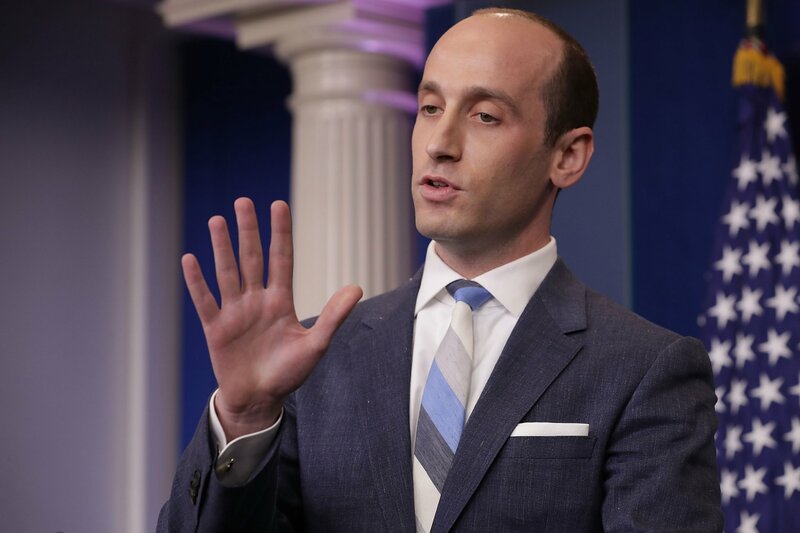 Miller's most notorious show of loyalty may have come this week when he hailed Trump as a "political genius" in a CNN interview that ended with host Jake Tapper cutting off the conversation and saying the dogged Donald defender had "wasted enough of [his] viewers' time." But Miller was honing his contrarian craft years before becoming a prime time Trump backer. Here is what one of the president's closest advisers was writing back in simpler times. We have all heard about how peaceful and benign the Islamic religion is, but no matter how many times you say that, it cannot change the fact that millions of radical Muslims would celebrate your death for the simple reason that you are Christian, Jewish or American. We have always known this. 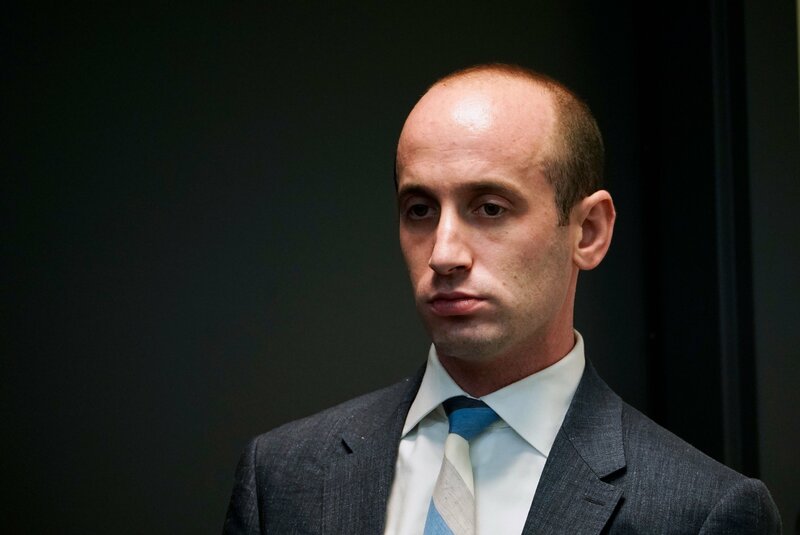 Miller did not provide any evidence to back up his claims. Later in the op-ed, Miller likened his classmates who oppose the war to terrorists. Many Samo students have questioned patriotism, denounced our military action, and blamed the United States for many of the world's problems. Interestingly enough, many Islamic terrorists feel the same way. In a letter sent to a local news outlet, Miller took issue with the presence of English-language learners and Latino students at his high school and with administrators writing official school memos in Spanish. When I entered Santa Monica High School in ninth grade, I noticed a number of students lacked basic English skills. There are usually very few, if any, Hispanic students in my honors classes, despite the large number of Hispanic students that attend our school. Even so, pursuant to district policy, all announcements are written in both Spanish and English. By providing a crutch now, we are preventing Spanish speakers from standing on their own. As politically correct as this may be, it demeans the immigrant population as incompetent, and makes a mockery of the American ideal of personal accomplishment. Miller also complained about his high school's LGBT club and slammed Santa Monica High School for inviting a local Muslim cleric to speak on campus. "Osama Bin Laden would feel very welcome at Santa Monica High School," Miller concluded. The letter was uncovered by Univision's Fernando Peinado in February 2017. In his report, Peinado quotes one of Miller's childhood friends who said that, at 14 years old, Miller stopped talking to him because he was Latino. As a sophomore at Duke, Miller began regularly publishing conservative columns in the school's newspaper, The Chronicle. In one of his earlier writings for the paper, Miller stripped responsibility away from employers for the ubiquitous pay gap between men and women across the country. What feminists don't realize is that bosses simply want to run a successful business. They will reward and promote whichever employees are doing the best job. 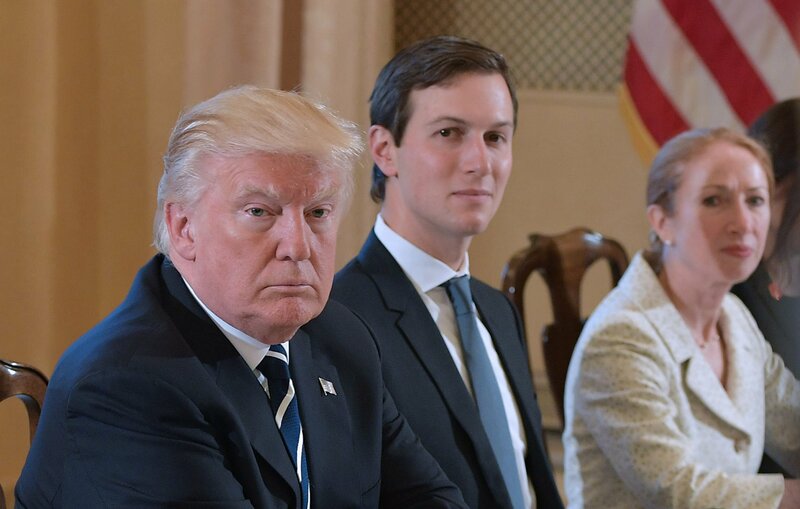 If John sells more than Jill, he gets promoted; if Jill sells more than John, she gets promoted. That is the simple beauty of the free market. If you don't believe me, just ask any business owner. Miller also regarded the gender pay gap as an overall positive as he believes it frees up women from the responsibility of becoming breadwinners. It's vital to keep in mind what it would actually mean for women if we were to close the pay gap. For many, it would mean giving up a noble career in social working or putting in 50- and 60-hour work weeks and not being able to spend time with the family. It would mean trading in jobs like housekeeping for night shifts doing road repairs; it would mean giving up the joy of being home during your child's first years of life. In April, Miller wrote an op-ed against Duke students traveling into Durham, North Carolina, arguing that the historic city and its quarter of a million residents had little to offer to students. Coming from a violent city myself (Los Angeles), I personally don't feel unsafe when going off-campus. Mostly, I just feel bored. But unlike the other violent cities that have excellent universities-D.C., New York, LA, Boston-Durham is not a hub of civilization overflowing with people, commerce and activity. It's not even a hubcap. Duke is, in fact, the only thing that keeps this city alive. As the number-one employer in Durham and the city's only major draw, if we were to pull out, instead of worrying about town-gown relations, the city would have to be worry about becoming a ghost-town. Which it quickly would. Miller went on to chastise his dorm mates for suggesting giving the janitor assigned to clean their building a birthday present. This insulting act of condescension was driven by guilt and the idea that we are in the janitors' debt. In reality, it's an issue of mutual benefit. The janitors need a job, which we provide, and we need someone to professionally clean the common areas of our dormitories, which they provide. Accordingly, we are thankful for each other, and no one owes anyone anything other than kindness and respect. 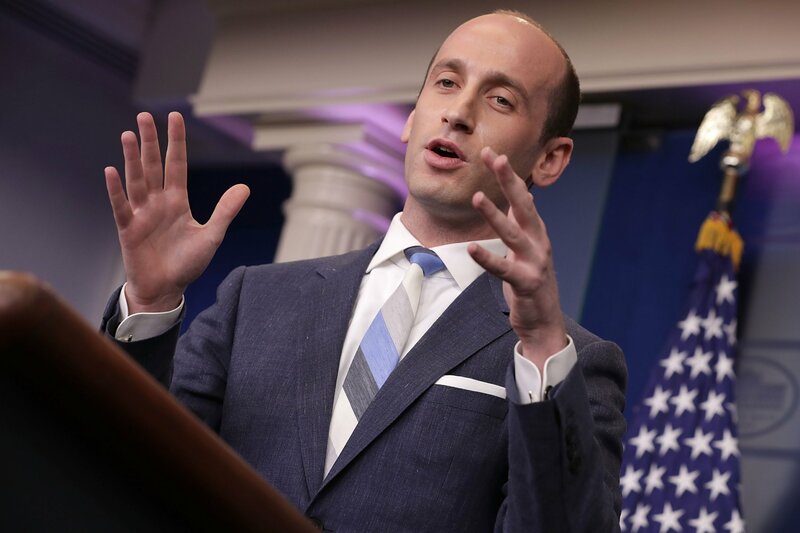 In his final op-ed for The Chronicle, Miller closed his career as a columnist for the paper by reaffirming his conservative viewpoints and longing for a return of "traditional values" that made the U.S. "great"—echoing the campaign slogan his boss would take up nearly a decade later. 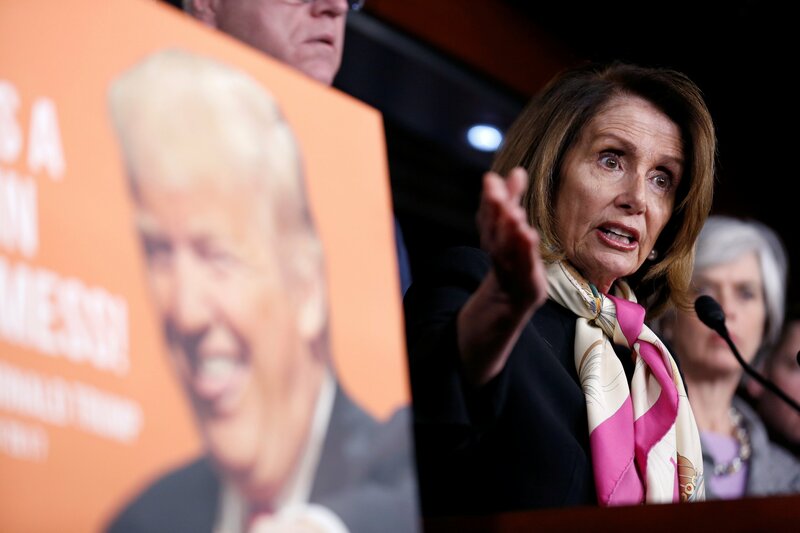 Inside our borders, the nation of E Pluribus Unum threatens to be fractured across ethnic lines by racial animus and divisive multiculturalism. We suffer from sagging patriotism, growing malaise and a loss of faith in the noble history and principles that have made us great.